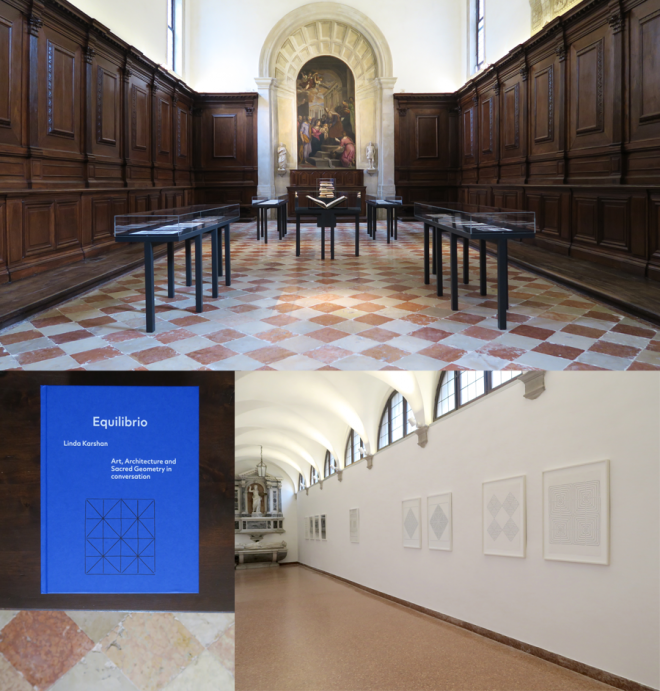 Published on the occasion of the opening of the exhibition Equilibrio: Linda Karshan – Art, Architecture and Sacred Geometry in conversation at Abbazia di San Giorgio Maggiore, Venice, August 2018. Foreword by the Abbot Norberto Villa and the director of the Abbey Carmelo Grasso. A dazzling blue cover with a drawing by Linda Karshan printed black and a foiled title in white with bright red endpapers and italian paper stock text pages.